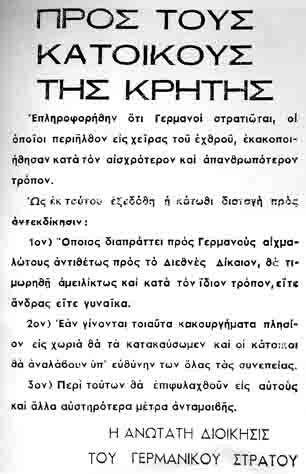 Here is one example, an announcement to the people of Crete, for anyone who wants to take a look, even if it's in Greek. Daaaang. >_> I'm so glad I wasn't in Greece back then. Yeah, that's COLD blooded. If it's happened before it can happen again. It's easy to forget the sheer horror of the Holocaust so many decades later, but it's great to have reminders of just how terrible it got, and how we must never allow this to be repeated.